Is there someone in your life who absolutely, completely, totally, beyond a shadow of a doubt drives you absolutely crazy? Are there times or situations you find yourself in that have you in confrontations with people who are unruly, always needing to be right or even vicious? Then if you can relate to these circumstances or find yourself in these types of situations more than you like, then read on. I am about to give you some tools to help you out of the tight jams you might find yourself in when dealing with difficult people. I wrote an entire book on dealing with difficult people, including oneself in What’s Your Anger Type? Which has become so popular it has been published on 4 continents and continues to help people around the world. In my book I identify 12 different anger types as well as 4 different personality types. I am not going to get into all of the “types” in this article but I am going to mention a couple of common consistencies that can help you dismantle even the worst situations while dealing with others. First off, whenever you are dealing with difficult people, try perspective-taking, a concept I use in the book. Try putting yourself in the other person’s shoes and play mood detective. Why are they being so difficult? Realize that it isn’t about you, rather something that is going on in that person’s life and you just happen to be their displacement target. Clarify what you think they are saying. Sometimes, when dealing with difficult people, emotions get in the way and things get caught up in feeling states that the true intended message gets lost. When you seek clarification, not only are you able to better understand what the person is saying, but you also let the other person know that you are listening. 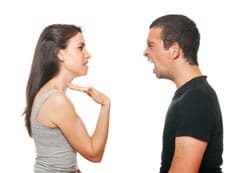 Aggressive and anxious people often times feel no one is listening to them or that no one cares and they use aggression to establish power struggles in communication. One of the surest and quickest ways to deal with difficult people is to quickly say “You were right and I was mistaken.” This quickly de-escalates a potential bad situation from getting worse as well as getting you what you want faster…a peaceful resolution. It also catches the argumentative type of person off guard as they have no one to bicker with. Notice, you are also not admitting you were wrong, rather that you were mistaken. You know you weren’t wrong, and maybe you were but you admit a “mistake” of sorts was made and this is the quickest way toward resolution. Finally, when all else fails walk away. There is no sense in getting bent out shape over nothing, getting angry and perhaps losing a friend or your own integrity. It is much better to let cooler heads prevail! Too many people become emotionally invested in dealing with difficult people but do not realize that it is often a fruitless endeavor. Once ego gets in the way, both your own and theirs, all bets are on that the situation will probably get worse! 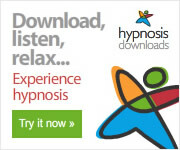 Discover how to deal with difficult people with this self-hypnosis MP3 session here.